What now, What next, Where to – What’s left? 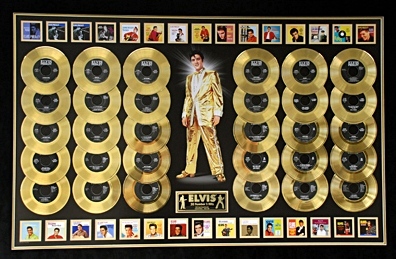 During Elvis’ lifetime, RCA released a total of between 60 – 70 albums, consisting of dedicated recordings, movie soundtracks and live performances. EIN contributor Ian Garfield examines what has been released and what is left for the FTD collectors label..
During Elvis’ lifetime, RCA released a total of between 60 – 70 albums, consisting of dedicated recordings, movie soundtracks and live performances. The exact number cannot be defined as some countries issued different versions, there were cheaper releases, and general compilations. However some compilation albums did have significance. The list below does not contain all releases but does feature all the significant ones, as well as including other noteworthy categories that could documented by FTD. The FTD label has been doing an excellent job at looking at the recording anthology of Elvis Presley and releasing every significant LP or recording session on a 1 or 2CD ‘Classic Album’ version. These usually feature the original album plus alternate takes and sometimes present their own "alternate version" of Elvis’ original LP. I have found these releases essential in re-discovering Elvis’ music catalogue along with and the fascination of re-examining his musical creativity in choosing his material and singles. FTD’s first release was ‘Burbank ’68’ fifteen years ago, so with all these new releases and packaging what is left for the collector? I have listed below the most significant of releases and the prospect for future releases. There are some duplication with the excellent Legacy editions, however the FTD still offers more insight and tracks with their offerings. 1950’s. Amazingly for the explosion of Elvis onto the music scene and the requirement for new product, the care of these historic recordings by RCA was shameful. Multiple session tapes were discarded or not properly archived for prosperity. This is mainly due to the poor knowledge and management on how to properly record and deal with the ever-changing technology of the day. The attitude was that if you had a master on the album and it was released then why keep the alternate takes and recording sessions. At the time tapes were not cheap and so why keep outtakes when you could easily erase and use the tape again. Similarly RCA dumped thousands of tapes as landfill when they did their great archive clean-out in 1959. What a tragedy! This is not the case for all the sessions, but does apply to some major historic sessions. 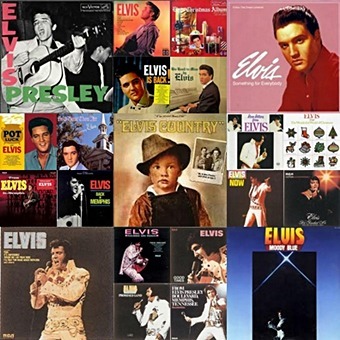 Elvis’ second LP "Elvis" suffered from this treatment and FTD has limited resources to work with when compiling its recent "Classic Album" release. Love Me Tender has finally been released (along with the 1956 Tupelo concerts) while the Television and other concert appearances are yet to be released. We know that RCA/FTD have them as they have previously been released on LP or CD box sets. Elvis’ Christmas Album is now to make an appearance as a Classic Album for Christmas 2014 on the FTD label. King Creole sadly suffered the fate of missing tapes and the few outtakes available were released with their book/CD combo. The compilations "For LP fans only" and "A Date with Elvis" will probably never be released by FTD as their material has been covered with A Boy from Tupelo, Elvis Presley, Elvis, Loving You and Jailhouse Rock. 1960’s. We have some real disappointments here, with the yet to be discovered missing tapes of Kissin’ Cousins, Roustabout and Speedway. If these tapes are not found but FTD still proceeds with 7" releases, I could only suggest the set be collated with the available takes, remixes and possibly the movie soundtracks taken directly from the movie, as these do have some additional orchestral overtones. Flaming Star is yet to be released. This has now been confirmed as a future FTD release for November 2014. The 10th anniversary LP "Elvis for Everyone" has now been released as a Classic Album FTD release. This was surprising as it was a mish mash of leftover songs from as far back from the Sun days and the only unreleased song from FTD would be ‘Summer Kisses, Winter Tears’ from the above mentioned Flaming Star - however it was more cleverly used by FTD to "mop up" some previously unreleased outtakes on the second CD. The LP "Elvis sings Flaming Star" does rate a mention, as both "Flaming Star" and "Wonderful World" are yet to have a FTD release. During March 1968 to March 1969 Elvis recorded songs for the film soundtracks of "Live a Little, Love a Little", "Charro", "The Trouble with Girls" and "Change of Habit". There is 16 possible tracks amongst this group. I believe there are not many alternate takes to these songs, so it may have a release very similar to the "Double Features" CD released in 1995. However the format, Elvis has an incredibly strong voice during this period and it does deserve a re-engineered release with any possible outtakes. 1970’s. Sadly there is not much left for FTD to release from this period. I can’t really see "Having Fun On Stage" making an appearance! There are only 3 LPs left to be released – the "Let’s be friends" and "Almost in Love" compilations rate a mention, but these tracks would be covered by the 1968-69 previously mentioned and did get their own recent BMG versions. That leaves us with "Elvis In Concert". 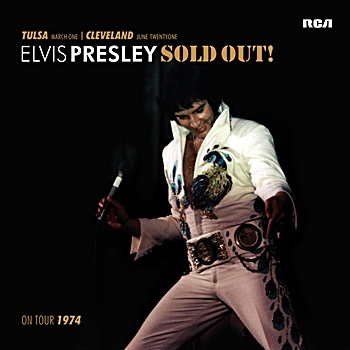 I think this will make an appearance, as they have pushed out "Our Memories of Elvis", "Guitar Man" and "Hits of the 70’s" I hazard to guess "Elvis in Concert" may be the finale FTD issue and could be a double disc with the original LP included along with both concerts in their entirety that made up the TV special. Holy Grails – leftovers? There are a few tracks left from the Guitar Man sessions. 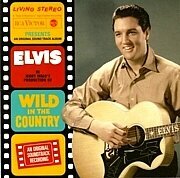 The "This Is Elvis" movie soundtrack could also be released, as it did have some alternate short takes and overdubs. "Elvis On Tour" has yet to be delved into and has been in the pipeline for years. Elvis’ Hampton Roads concert from April 9, 1972 was one of his very best and has been often bootlegged so there is some great potential there. However the fact that the "Elvis On Tour" box-set was not released for the 40th Anniversary is a mystery. From now on Elvis' live performances will have to become the focus for FTD. As you can see from the table below there are still over fifteen Tours and Seasons still not covered by FTD who wanted to document each one with at least one release. The Holy Grail of Elvis concert recordings does lie in a warehouse in the USA. Will FTD be able to get the soundboard tapes from the Bruce Jackson Estate? Elvis performed over 1,000 concerts during his lifetime, so there is still a wealth of material from various sources to explore. The Last Concert – rumours suggest there may be a better quality source although if there is a soundboard no doubt it is held by the Bruce Jackson Estate. Surely the true finale for FTD has to be Elvis’ very final performance. So, there are a possible 15 original LPs that could be released. This is something to look forward to, along with any additional gems they may find over the years. Maybe a complete collection of home recordings? No matter how much is left, the journey that FTD has taken on so far has been great re-acquainting the music of Elvis Presley. Thanks to Ernst, Roger and the FTD team. 'For LP Fans Only' FTD includes.. Note that early FTD compilations such 'Out In Hollywood', 'Fame and Fortune', 'So High', 'Long Lonely Highway' etc which have been superseded by more thorough "Classic Albums" investigations into the same recording sessions and so have not been included. Several of Elvis' budget Camden albums such as 'Elvis Sings Flaming Star' and 'Almost in Love' were remastered and re-released with their original paltry selection of tracks - back in 2006 by BMG. Over ten years ago Ernst Jorgensen and Roger Semon outlined what release plans to expect from FTD. Ernst: Our ambition is to, good or bad, document every major Las Vegas, Lake Tahoe season or concert Tour by one CD - not by a row of CDs. Although we pretend that we don’t care about bootlegs we try to, if we can, release a show that is better than what is out on a bootleg or different. Below the table highlights the missing Tours and Seasons that have still not been documented by FTD. ?? Elvis On Tour ?? + Lakeland April 27 & 28. On the still missing ‘On Tour’ material. Ernst: ‘On Tour’ is a little bit complicated. The reason why we haven’t put out anything on either FTD or RCA at this time is that we would ideally like to do it with a DVD re-release. We will release the material that we have which is pretty substantial. Nothing that you can’t guess what it is. There is a lack of confidence in ‘Elvis On Tour’s commercial potential but it’s a shame as, maybe Elvis doesn’t look as good as in TTWII material, but there is an hour’s worth of Elvis in a recording studio and a lot of people would like to see that. Note that the Aug 24 MS 1969 tracks from FTD's Live compilation 'Writing For The King' are included above - but not the few taken from the different August 70 & Feb 72 shows. See EIN's review 'Writing For The King' for details. Similarly the BMG compilations which feature only a few live tracks such as 'Platinum', 'Elvis Aron Presley' and 'Today, Tomorrow and Forever' are also not included. Spotlight by Ian Garfield - with additions by Piers Beagley. 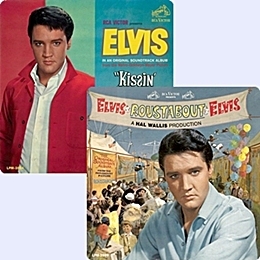 This first article covers the possible releases of Kissin’ Cousins and Roustabout. The list is very nice if a bit flawed in places (sometimes it lists the bonus tracks on live CDs, sometimes not). As far as I know, there are ten tracks from August 24 on Writing for the King, not nine. There is no mention of the opening night soundboard bonus tracks on An American Trilogy (unless I’m blind). Under the ’68 Comeback section, there’s no listing of Tiger Man. Should The Memphis Record be mentioned on grounds of unique mixes? Anyway, a very good overview it is, as Yoda might have put it. EIN notes - THANKS, corrections and additions made. Re the "bonus tracks" the article is more a pointer to what might be released in the future. We included the more important "bonus tracks" as a guide - as opposed to everything released. That is another topic entirely. If you are interested in this topic Ken Jensen (who is involved with FTD) has written an amazing 4,000 word article 'FTD: Covered versus Uncovered' in incredible detail about what has been released and what FTD may release in future. Please Click Here to the FECC messageboard to read it. I could think of an very attractive CD containing all the binaural Session outtakes & masters of the January 1957 Session, which are still spread over four old releases ("Essential Elvis vol.2" ; "Flashback" ; "Close Up" ; "Today, Tomorrow & Forever"). Also there still could be another CD filled with session outtakes from the "Pot Luck" sessions. "I Washed My Hands in Muddy Water" (unedited undubbed master) and "Whole Lotta Shakin' Goin' On" (unedited undubbed master) as once heard on the "Essential Elvis vol.4", better without fade at the end; "I'm Yours" (stereo single master), and we can find many more like this. Since "This is Elvis", "Our Memories of Elvis" and even "Hits of the 70's" had been given a Classic Album Release, I guess the 3 "Rare Elvis" LPs would be worth a double album, since there are still versions left which had no other release since. So there is still a lot to do. I have recently purchased a very large amount over the past 2 years of the incredible 2 cd FTD classic albums. 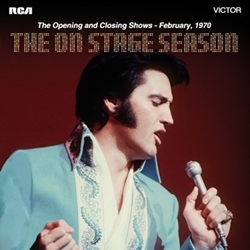 The one that I’m waiting for (hanging) as mentioned by you is Elvis in Concert 2cd (or more) classic FTD…. I was thinking that this might come out for the 40th on Legacy but that would not be until 2017??? Just from me… I like to say a BIG thank you to the FTD team for keeping the music alive and amazingly fresh to our ears… what I have as well as millions of others around the world is priceless memories to revisit time and time again…thank you, thank you very much! Looking at the recording sessions at what has been released and what not it is clear that Ernst is saving outtakes. My personal view is that Ernst is saving those for one more big boxset release. If that will be a general public or FTD release, time will tell. Elvis 80th birthday would make a perfect – if not the only occasion to complete the Boxset releases. With Silver, Gold and Platinum released, only one options remains: ‘Diamond’. It is my feeling that Ernst/Sony still have a couple of surprises left in the vault. The live recording of ‘I Forgot To Remember To Forget’ that turned up last year is one of them for sure is in their hands. ‘Rock Around The Clock’ is a title also said to be in the hands of Ernst/Sony but the acetate is too damaged to be heard. Other sources mention some studio versions of the early sixties to exist not heard as of yet (alternate takes of known titles not heard before). One or two unheard movie song(s) - never before heard titles/versions - might also be in the vaults. Then there are homerecordings of the sixties with some titles not yet heard. Some tapes from the ’70 studiosessions (’71 & ’76) are missing and who knows might turn up one day. There are still some live shows they do need to cover, such as the July 1975 tour. But FTD is running out of other options. On the other hand: who would have ever thought we would be treated to high quality releases for fifteen years that made a lot of dreams come true? When the time has come that FTD has nothing more to offer to us we can turn to our collections and relive all those wonderful releases. Till then; fingers crossed for a couple of more great releases by FTD. The EP Peace In The Valley is listed in the article, but only outtakes of Peace In the Valley and It Is No Secret exist, so that will probably be a quite short cd. What I'm missing though, are the secular binaural recordings from January 1957. There are binaural outtakes of I Beg Of You, That's When Your Heartaches Begin, Have I Told You Lately That I Love You, Blueberry Hill and Is It So Strange. They could be combined with the FTD's Peace In The Valley, but the "Just For You" EP from August 1957 featured (the masters of) the latter three songs. So FTD could release a Classic Album version of this EP and release the outtakes of I Beg Of You and That's When Your Heartaches Begin on that CD as well. There are two Elvis recordings which have yet to see an official release and that seems to be ignored by everybody: The alternate long version with extra-verses of “Wolf Call” and “I’ve Got TO Find My Baby” from “Girl Happy”. We’ve had them many years ago on bootleg vinyl albums with a “phone-line” effect sound. I was sure I would have found them on the “Girl Happy” FTD release, so I was very disappointed to find out they were not included. I can hardly believe Ernst Jorgensen doesn’t know who has the original tapes and hasn’t been able to get them. Don't be surprised if 'A Date with Elvis' and 'For LP Fans Only' are released on FTD. I know exactly what should be on those albums to make them worthwhile 2-CD sets. So does Ernst. There's even a way to release the rest of the Golden Records series. The first volume could contain the remaining 1957 sessions, sans the gospel outtakes, which obviously belong on the Christmas album. The two volumes from the '60s could contain leftover studio and/or soundtrack outtakes. The Christmas Album maybe released toward the end of this year. There are lots of Classic Album releases (including soundtracks where few outtakes exist) and other things to put out. The February '72 live recordings need a proper home, we could get some "On Tour" shows, etc. 2. Possibilities Based on Previous Precedent - These releases, in my view, are now possible simply because of the releases such as Elvis’ 2nd Album and Elvis’ Christmas Album which offered little in the way of unreleased material, as well as Hits of the 70’s, which was simply a compilation that offered nothing new at all. Personally, I believe that at least some of the titles below will be released by FTD, regardless of the availability of outtakes, simply to complete the FTD versions of albums released during Elvis’ lifetime. I believe that releases such as Elvis’ Christmas Album and Elvis indicate that FTD are willing to release CDs with few (or no) real outtakes) and people are willing to buy them, so why not? • Elvis’ Gold Records vol. 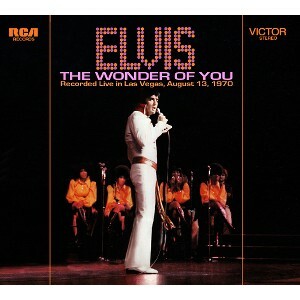 5 – this one might be nice if some Gold records that were left off (like Always on my Mind, the Wonder of You, Don’t Cry Daddy, and more) were put into the mix. • I Was the One – We’ve had the overdubbed Guitar Man cuts, as well as the This is Elvis cuts, so why not this one? • Greatest Hits Vol. 1 – never released on CD in the US, so a nice choice if only for that reason. • 50’s TV appearances - another obvious choice, given that they have never actually been remastered for CD release as the Golden Celebration CDs were simply album remasters. • “On Tour”CD series – similar two disc sets like the ones that were released featuring Elvis on Tour in 1974. Perhaps several two disc sets featuring two shows from the same time period. For example Elvis On Tour 1973, 1975, 1976, 1977, etc. • Live Shows – there are still a number of live shows in the vaults that can be released from various years (as single discs), perhaps coupled with song selections from other shows during the same time period. • Live Compilations – similar to Southern Nights and featuring either songs from shows on a particular tour or various live cuts from various years all put together on a theme. Thus far, aside from “Writing for the King” there has not been an FTD compilation of live cuts from different years. • Audience recordings – only to complete FTD stated goal of releasing something from every Vegas and Tahoe stand, as well as every tour. Precedent for this has already been set with the release of New Year’s Eve as well as the Tupelo shows on the Elvis 2-CD release, to name just two. • The Elvis “Sessions” series – sessions by date range in complete form, in order of recording. 2. A really crazy thought – FTD downloads on demand - Create a subscription service for on demand downloads similar to iTunes, but only for Elvis FTD material. In particular, soundboard shows that might not be worth releasing as individual discs, extra unreleased tracks from already released FTD discs (such as additional movie outtakes), or even downloads of FTD titles that have been discontinued could be included for download. Those who want every song and/or live show could get them while others could pick and choose. Subscribers could also download on a per song basis. This would save mastering, shipping, and printing costs, and would make more material available while solving the “problem” of releasing titles people have already bought or do not consider to be worth a CD release. 3. Book/CD Compilations – Clearly FTD has been doing quite a few of these and I think that they are a good way of focusing on one specific event in Elvis’ career and getting more in depth about it. An entire series could be done on various individual years of Elvis’ career or individual events. This would be a good way of keeping FTD going without having to continually release new audio material. 4. Vinyl – Given the large number of FTD vinyl releases, they seem to be quite popular. I would think that this range could continue for quite some time by simply releasing alternate vinyl versions of existing FTD releases. Vinyl releases with booklets inside would be even better! 5. DVDs – I know it’s extremely doubtful, but it would be nice to see some 8mm footage from the original reels combined with RCA quality soundboard recordings. A man can dream! A very interesting article. I tend to agree with author. With FTD my goal is to complete my collection of original RCA albums plus of course On Tour and others that need to be adressed like the TTWII leftover shows (complete) and rehearsals. Whatever is available I see Elvis Christmas album, King Creole and the Sun session released for the 50's. Same for the 60's: Flaming Star, Kissin Cousins, Roustabout, Speedway could be on their own. 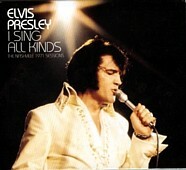 Elvis For Everyone could be upgraded with all kind of outtakes from that decade yet unreleased (eg: Fountain Of Love). This Is Elvis could have also things like The Elvis Medley + the I Was The One album 50's overdubbed songs. I suspect The Trouble With Girls could be on it´s own too. Something will have to be planned for LLLL and Charro. I know Ernst has to please fans and collectors of all kind, but to me priority should go to professionaly recorded songs. Hi there are a few live versions & movie songs that hasn't seen the light of the day, they are "Trouble / Raised On Rock" , "Cryin' Time", "Down In The Alley (Screaming girls version)", "Pot Pourri" (not sure of spelling), "Spring Fever" (Medley with Shelley Fabares), "This Is My Heaven / Drums Of The Islands", "(Ghost) Riders In The Sky" (1st. version), "Snowbird" (Different live version), "Don't Cry Daddy" (Rehearsal with Elvis changing lyrics), "I Got A Woman / Amazing Grace", "By The Time I Get To Phoenix", "Susie Q", "Spanish Eyes" (Home version with Sherrill Nielsen), "You'll Never Walk Alone" (Live), "Shake A Hand" (Live), "Such A Night" (Live), "Devil In Disguise" (Demo).